Well, Happy Holidays and Happy New Year to everyone. I hope that you had a wonderful Holiday. I know it went very quickly and I am a bit sad it is all over. To all that were unable to make it to the Holiday Meeting, you were missed. We had such a lovely time gathering, eating and discussing our favorite topic, quilting. Thank you so very much Stephanie and Colleen for allowing us to us the LDS Church for our gathering. It was beautiful and what a gorgeous job you did setting up the room for us. We are so thankful and grateful for the both of you. Thank you to Stella for the amazing Hot Chocolate table she set up with homemade marshmallows. YUM and Stella has the most amazing vintage thermos collection thanks for sharing that with us as well. Thank you to everyone who brought goodies to share. It was such a fun evening. We did discuss a few things business during our meeting. We voted Yes to the proposed budget you can take a look at that by going on the Members Only part of the blog. If you missed the deadline for the membership renewal please fill out the form and pay your dues. You can do that here. The Mighty Lucky Quilting Club Consider joining to learn new skills every month from some very talented teachers. Bring your projects to the meeting so we can see what you’ve been up too. At the next meeting we will be having a FREE table. 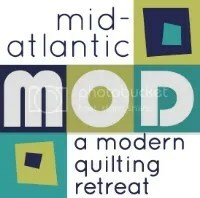 Please feel free to bring and share something quilty or sewing related. But, yes there is a but, if you bring it and it is not taken please take it back home with you. Please make note that our next meeting is January 21 in our NEW SPACE. The Community Church 65 Bowden Rd, Cedar Grove, NJ 07009. How Exciting. You do not have to bring chairs.